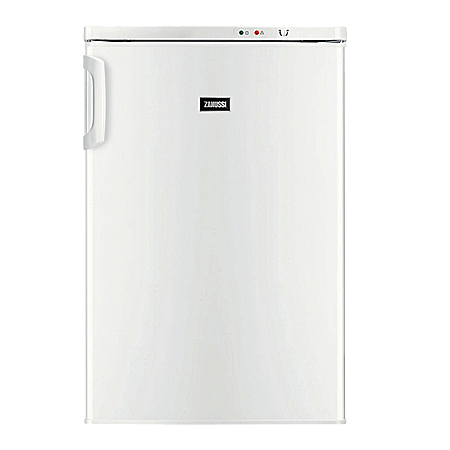 The Zanussi ZFT11105WA Freezer has a generous 91 litre capacity with an excellent A+ energy rating. 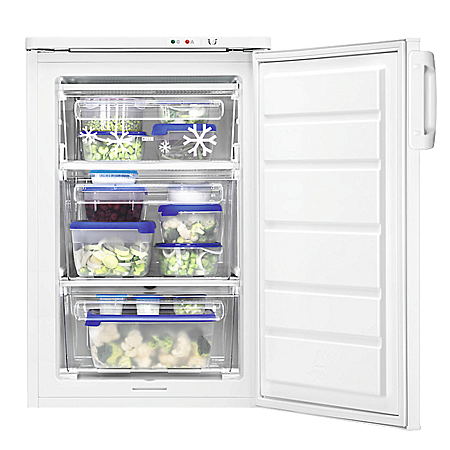 Theres plenty of room to store all your groceries in the freezer thanks to its generous 91 litre capacity. You can easily get to all of your groceries thanks to the opening flaps in the upper drawer, and the Space+ drawer lets you store the maximum amount of food and reach it easily. 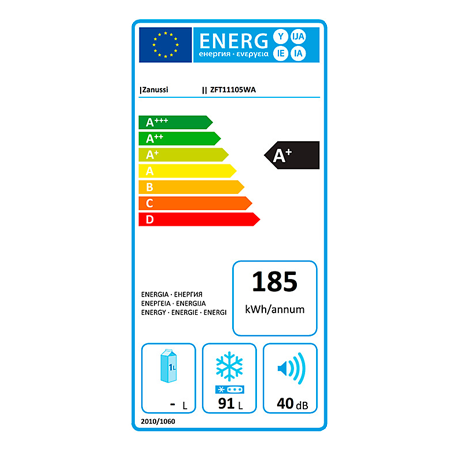 Operation of the freezer is straightforward with its simple controls including a thermostat control knob, so you can always ensure the temperature is correct and your food stays fresh. Pay an initial 10% Deposit of £29.00. A £29 settlement fee is payable at the time of final payment. Settle the balance in 12 months interest free.